Premium Rate SMS (SMS Premium Rate Mobile Originated) – the user of the service is charged once, at the time of sending a short text message. The service does not have the character of a subscription. How to identify a Premium Rate number? The first digit following 7 – the range 0-9 – specifies the nett value of the text message price, for example: 7043, 7943. Starting from premium rate 10, the number starts with the digit 9. In this case, the two digits following after 9 – within the 10 -25 range – define the nett value of the SMS price, for example: 91043, 92543. The numbers with the 7X81, 7X91 structure can be used to provide services intended for adults over 18 years of age (including audio text lotteries). Here, the letter X indicates the specific tariff. If the third digit is either 8 or 9, it means a given service is destined for adults, for example: 70966. Dedicated number – is used by one partner only. In such case there are no restrictions regarding number prefixes. Any content sent to this number is assigned to the account of the number holder. Shared number – can be used by many Partners, allowing them to avoid the costs associated with activation of a dedicated number and the requirement of generating sufficient traffic. The prefix in this case should contain at least four characters – for example: abcd, 1234. Activation is processed within up to 3 working days. *Teleaudio, in case of Customer’s interest in audio text lotteries, undertakes activities required to obtain permission from the Customs Office. For further details, please contact our Premium Rate department. The prospective user of the service activates the service by sending a text message, entering a pin code on a website (WEB Opt-in) or clicking on the right link (WEB Opt-in). 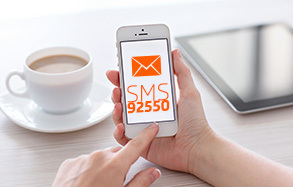 How does MT Premium Rate SMS service work? 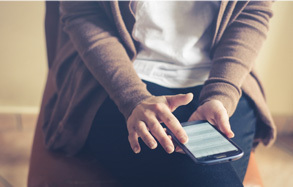 1) A user interested in repeated access to the service sends an SMS reading “Start” or with content related to the name of the service or website – such as: “Horoscope” – or enters his/her phone number on the relevant website. The cost of the SMS is in accordance with the tariff plan of the subscriber. 2) In response, two free verification messages are sent back, which inform the recipient of the rules of the service operation, costs, service resignation options and its terms and conditions. 3) From the moment of activation of the service, until the subscription closure, the user will be receiving payable SMS messages in accordance with the schedule defined in the terms and conditions. The functionality of the service allows to individualise the content of messages sent to the users. GSM operators allow organisers to independently define contents which are delivered to and viewed by customers. The service itself is de facto prepared by the operator, who establishes the service in accordance with the principles contained in the appropriate terms and conditions. Web – token – when a website is visited by a user interested in obtaining, for example, a horoscope, he or she is asked to fill a special form, providing his/her phone number. After 30 seconds, the user receives a return text message with a code. After entering said code in the dialog box on the web page, he or she receives an SMS containing the necessary information about the service. There is a possibility of receiving a notification in the event of call processing on our servers. delivery in real time only for T-Mobile users, other operators – after 1 hour. name of the entity providing the additional service. The company providing additional service is obliged to supply information on its name, therefore it is not sufficient to display the comapny trade mark, logo, name of the service or another form of indentification used when selling the services. An intrinsic part of the name of the entrepreneur is also the legal form under which the business is operating. the rules of calculating applicable charges, and particularly what actions or services result in their application. 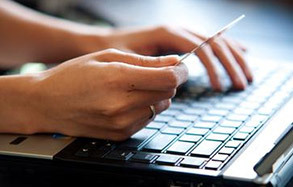 If the possibility of using the service depends on payment of more than one type of charge/fee, both the method of calculating each of these payments as well as the total amount due for the service usage should be displayed. frequency of content transmission if conditions of using the service stipulate its cyclical nature. In case of an unsuccesful billing attempt (when a user doesn’t have enough money) you can set a repeat service. Last repeat has to be sent withing 24 hours. WAP Premium Rate is available only in T-mobile, Plus and Orange. When it comes to Play it is necessary to make an additional confirmation of subsciption by typing your phone number. MMS – the user has the possibility of sending a message containing text, image, picture, sound and video content. Applications: a contest in which the most original photo wins a prize, a video with the option of adding original comments from the public. The MMS numbers are available exclusively in the form of dedicated numbers.